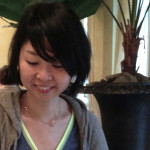 Akane Ito Jewelry designer Sand casting artist Born in Chiba, Japan in 1976. Set about studying jewelry design myself after graduated from the Department of Scenography, Musashino Art University in 1999. I have been a jewelry products planner/designer in the jewelry industry in Japan. My works exhibited at the Maison & objet 2013 in Paris and several department stores in Japan.